If you are an innovator or startup company seeking partners or capital to start your project or expand your business, through VentureChoice you will benefit from broad market exposure, access to our investment forum and extensive technical and operational expertise. 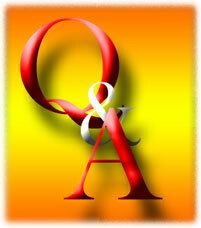 Following section will provide you with answers to the most Frequently Asked Questions. What types of Projects is VentureChoice looking for? We constantly adapt our focus to changing market trends and interests of our sponsors. However at core we are always focused on IP (Intellectual Property) intensive technology projects. Digital Biology - software tools to store, retrieve, analyze and predict the composition and structure of genes, proteins and other biomolecules. We prefer early stage projects that already have a validated concept. Would you sign any NDA? Confidentiality is a key element in any VC's reputation and success. Our reputation for discretion and integrity has been well earned through years of working with entrepreneurs and companies. Due to the high volume of projects we are exposed to we are not able to accept any obligation of confidentiality with regard to information submitted during the initial screening process. If during the subsequent communications we both agree that it is necessary, non-disclosure agreements can be discussed. What are the size and terms of investments? That is entirely on a case-by-case basis and up to participating investors and sponsors. What it the cost for the Program? VentureChoice is a client sponsored venturing firm. There are no costs or fees to entrepreneurs and startups. What is the process at VentureChoice? We receive hundreds of business plans a year. The key to getting a plan accepted is to have a sponsor within our partnership. Once a business plan passes our initial screen, our evaluation and decision process typically takes three to six weeks. As the process unfolds, you may make several presentations to VentureChoice and prospective sponsors. Once sponsored, we work with you to finalize the business and execution plan, term sheets are agreed on and financing and a long-term working relationship begins. Why should I work with VentureChoice? Choosing a VC is like choosing a member of your team. Entrepreneurs should carefully assess the value-add of potential investors, seeking VCs who know the company's technology and markets, have built a track record of solid successes, and can provide access to a network that will serve the company well through its growth. VCs should also be pragmatic and helpful while respectful and advocate for your company at all times. VentureChoice seeks out opportunities to work with technology innovators and companies who have the drive and determination to be category leaders. We add value by helping you to get corporate sponsors and investors, recruit talents, build management team, making tough business and technical decisions as well as promoting and connecting your business. How do I approach VentureChoice? With our extensive business network, we feel the optimal way of contacting us is through a mutual contact and recommendation. If you are unable to find someone with a relationship with us, please submit a summary of your business/project plan through our online system. If your question is not answered here please let us know by emailing us and we will get back to you shortly.